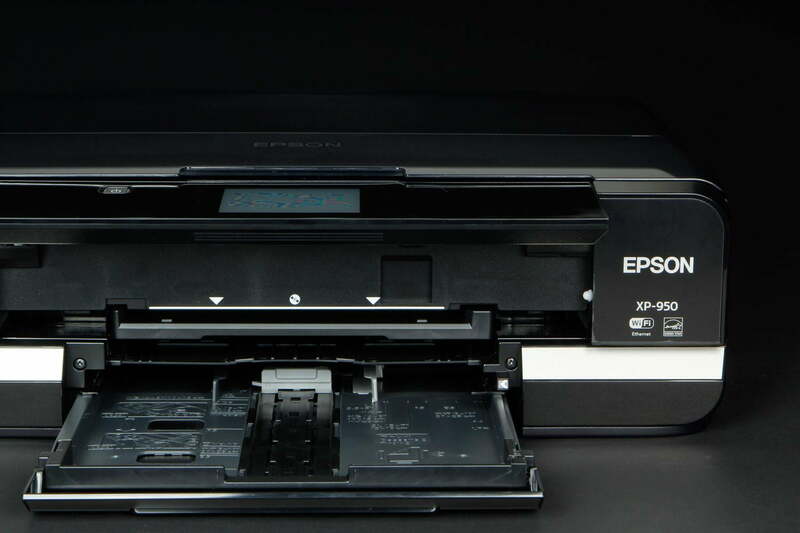 Given the XP-950’s wide format capability and excellent photo quality output, it’s a perfect fit for someone who wants a bit more than the run-of-the-mill MFP. Despite the “Small-in-One” moniker, the Epson Expression XP-950 ($349) can actually print onto wide-format paper as large as 11 x 17. 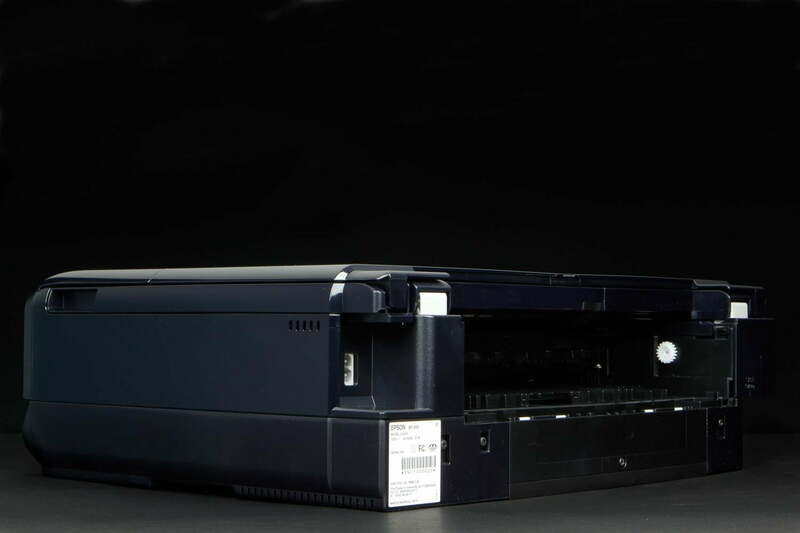 True, it’s not as big of a unit as dedicated large-format printers, but you get more features from this multifunction printer (MFP) including copying and scanning. More importantly, it’s a strong performer and the image quality, when using the appropriate paper, would appeal to anyone who likes to print photos at home. 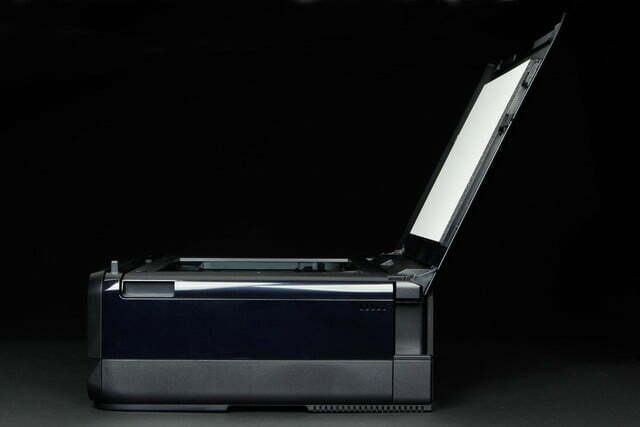 The XP-950 is a three-feature all-in-one printer – no fax, just print, copy, and scan. The unit itself is not overly large, but it’s going to need a bit of space on your desktop. It weighs only 23 pounds, so it’s not too difficult to unpack or move around. You can scan to a memory card or USB drive, or print from a USB drive. 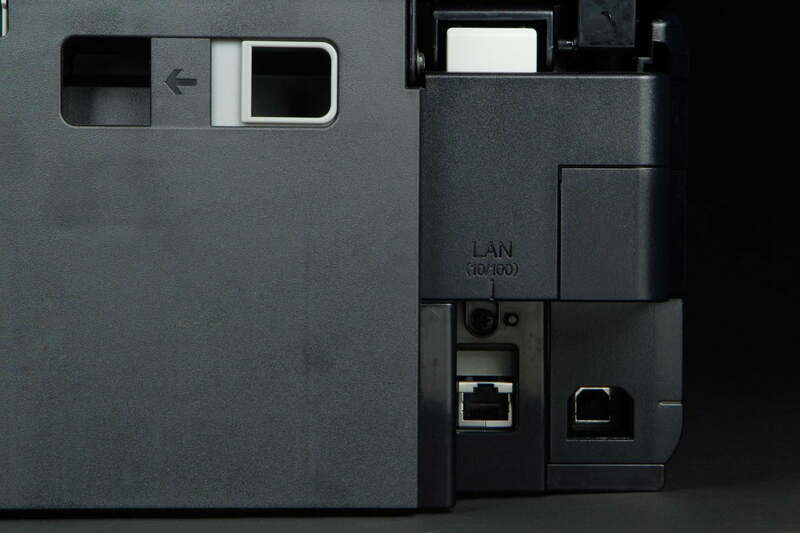 Above the USB port is an inconspicuous door that swings out to expose Compact Flash and SD card readers. 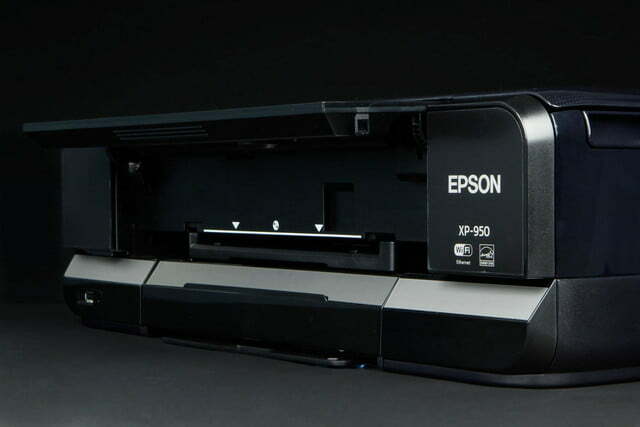 Of course, all the features of the XP-950 are built around a photo printer. 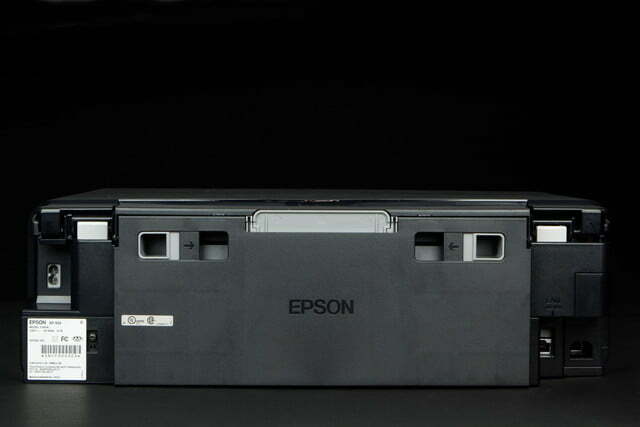 It uses six of Epson’s Claria Photo HD inks, and are available in standard and XL capacities. 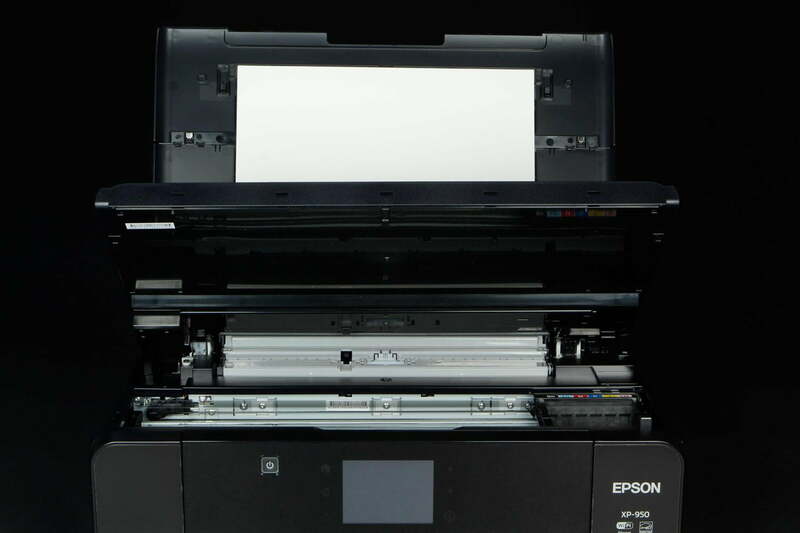 Cartridge yields are difficult to find: Epson just states that the XL cartridges provide twice the number of pages than the standard ones provide. Standard capacity cartridges cost $11 each, while the XL cartridges are priced at $20 for the black ink, and $17 for each of the color cartridges. We were, however, able to find yield figures on the XL cartridges – 500 pages for the color cartridges, and 740 pages for the black ink cartridge. As always, your mileage may (and probably will) vary. Paper is fed from one of three places. 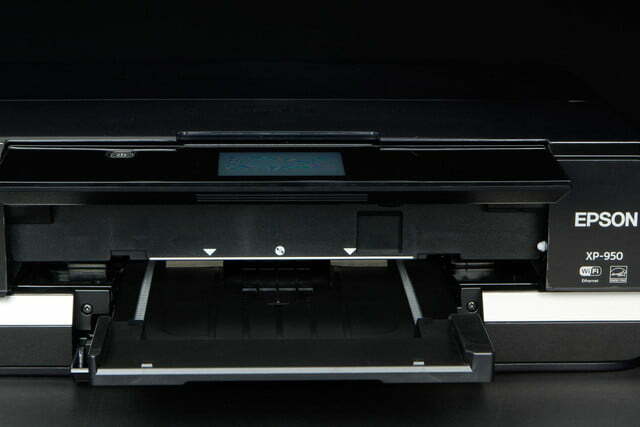 Letter- and legal-size paper is fed from a standard paper drawer at the bottom of the printer. This drawer has a capacity of 100 sheets, while a second dedicated feed right above it has a capacity for 20 sheets of photo paper. The 100-sheet paper drawer input is a bit small, though the output tray only holds 30 sheets. One thing that isn’t obvious from the form-factor is that the XP-950 can also print on media as large as 11 x 17 inches. This media, as well as specialized papers are fed from a third, rear feeder that’s covered by a flip-up panel. 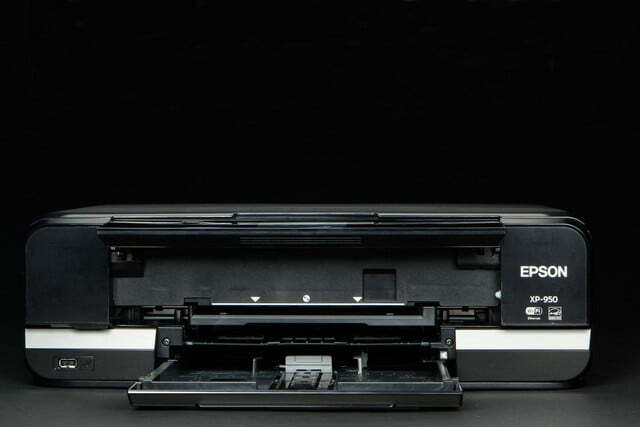 The XP-950 has automatic duplexing capability, letting you print on both sides of the page. It does not, however, provide an automatic document feeder (ADF). On top of the unit is a flatbed scanner with an unusual split-hinged top panel, which can accommodate scans of thicker objects like a book. Another feature is the ability to print onto optical discs like CDs and DVDs. Connectivity options are excellent. In addition to standard USB and Wi-Fi, the XP-950 also has an Ethernet connection. 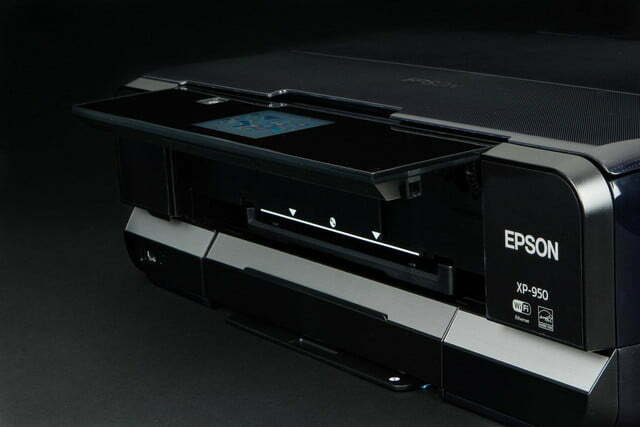 Epson also provides owners with a free Epson Connect account. 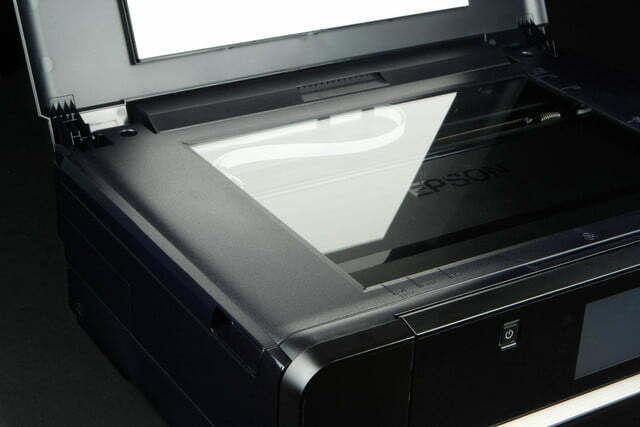 This lets you print from devices such as smartphones and tablets. 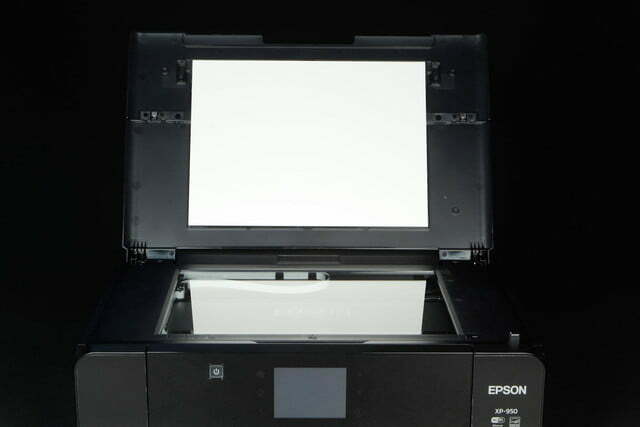 Once you set up your Epson Connect account, you don’t need to be near the unit to print from a mobile device – you can sent a print to the XP-950 from anywhere you have an Internet connection. The XP-950 also supports Apple AirPrint as an alternative way to print from an iPhone or iPad, as well as Google’s Cloud Print. 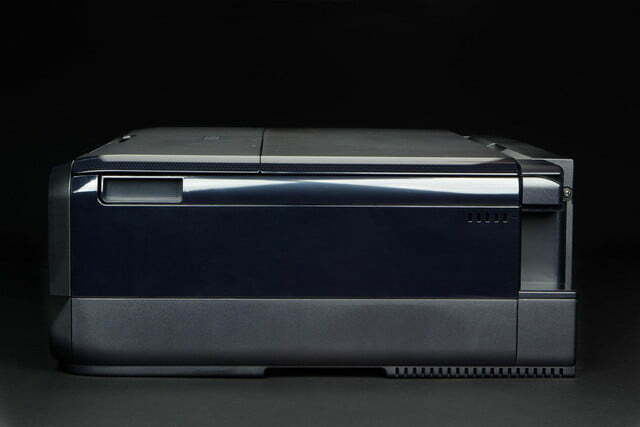 Besides the printer, the box contains a CD with drivers for Windows and Mac OS X, a scanner driver, and utilities for printing CD/DVDs and creative projects like greeting cards and calendars. The box also contains six ink cartridges, an AC power cord, and both a setup poster and small Quick Guide booklet. A tray for CD/DVD printing is also included. Setting up the XP-950 couldn’t be easier. Remove all of the packing materials, insert the ink cartridges, and run the install software. You get to choose how you want the unit connected (USB, Wi-Fi, or wired Ethernet) and the rest of the installation is automatic – taking about 10 minutes or so. 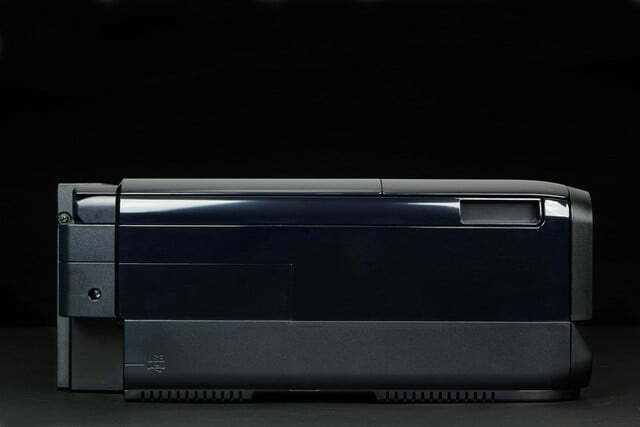 The ink cartridges are inserted into the print head, so there’s no lengthy priming of the printer before first-use. Colors were completely accurate, and saturation was perfect. 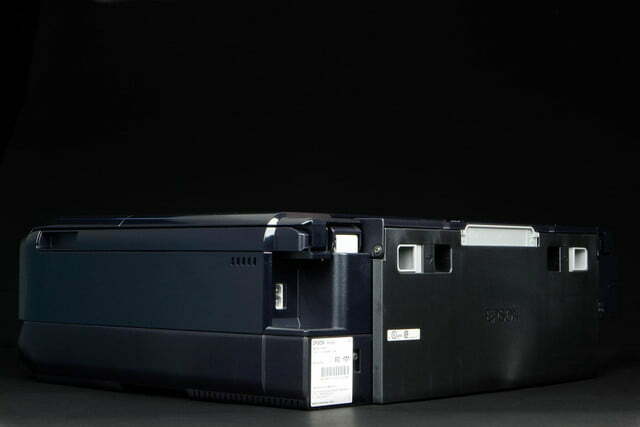 The XP-950 had mixed results in our testing, but that was largely the result of the device being a photo printer. We tested image quality using a variety of papers including the Epson Bright White that the vendor sent, as well as the Hammermill Premium Inkjet and Laser paper we use in all of our testing. Image quality on both of these papers was, at best, mediocre. All of our test prints were poorly saturated, with dull colors. However, colors were for the most part accurate except for certain reds, which reproduced with a noticeable brown tinge on the two papers. Text-based documents, like high school essays, should be fine. With that said, we’re actually fine with the image quality. 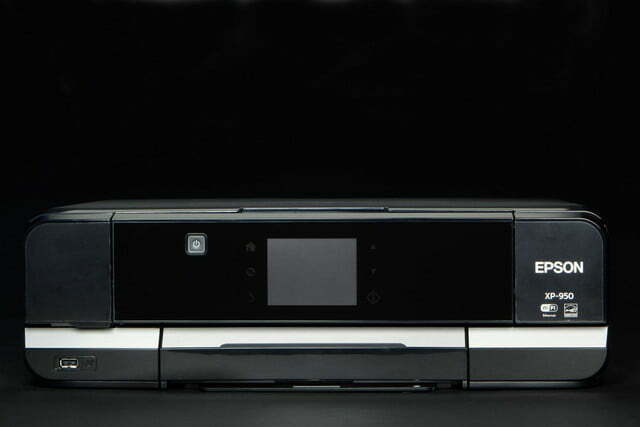 This is a photo printer, and it’s really designed to be used with media designed for photo printing. 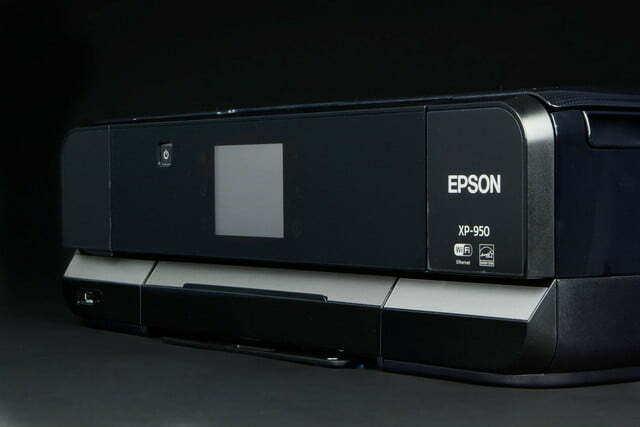 We tested the XP-950 using Epson’s Premium Photo Paper Glossy and Epson Hot Press Bright (which is one of Epson’s specialty papers), and the results were outstanding. Colors were completely accurate, and saturation was perfect – not over or under saturated. You certainly could use any good quality office paper to print a report or term paper. But if you intend to print photos, or use the creative software, be prepared to lay out some cash for the proper paper. As with most photo inkjets, copying was slow. The XP-950 is fine for copying a few pages, but not a long document or large numbers of copies. There’s no ADF, so two-sided documents need to be manually flipped for scanning or copying. Scanning is easy, and you can perform it in a standalone mode, scanning directly to a USB drive or email. In our tests, the scans were very accurate in both reproduction and color. 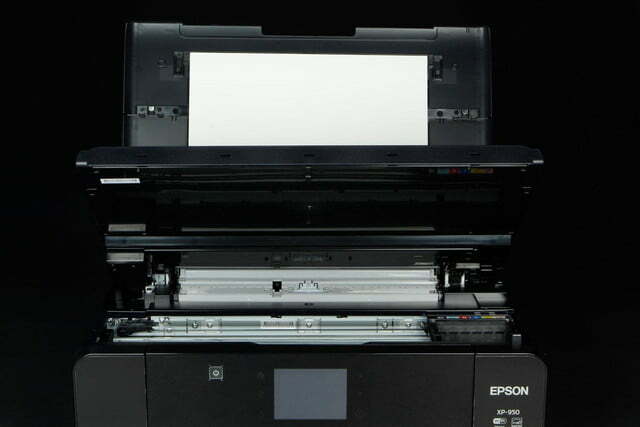 Finally, Epson rates the XP-950 at between 9 pages per minute (color) and 9.5 ppm (monochrome). We actually did a bit better than that, averaging nearly 11 ppm in our tests. That’s pretty good for an MFP built around a photo quality printer. The XP-050’s $350 price tag puts it above reach of a casual user – a bit of an overkill if you only print text-based documents – but it doesn’t make it a bad bargain either. 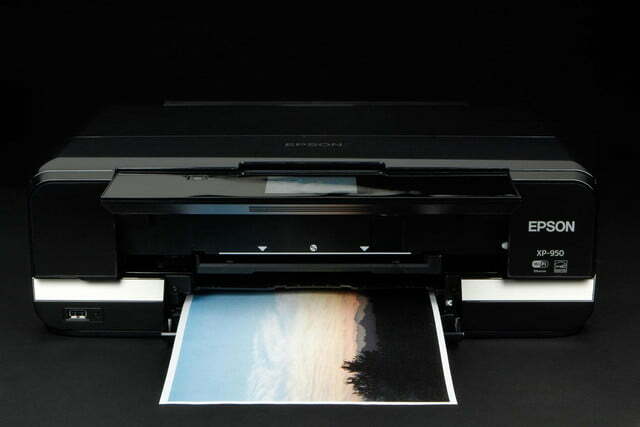 Given the XP-950’s wide-format capability and excellent photo quality output (if you use photo paper, that is), it’s a perfect fit for someone who wants a bit more than the run-of-the-mill MFP.